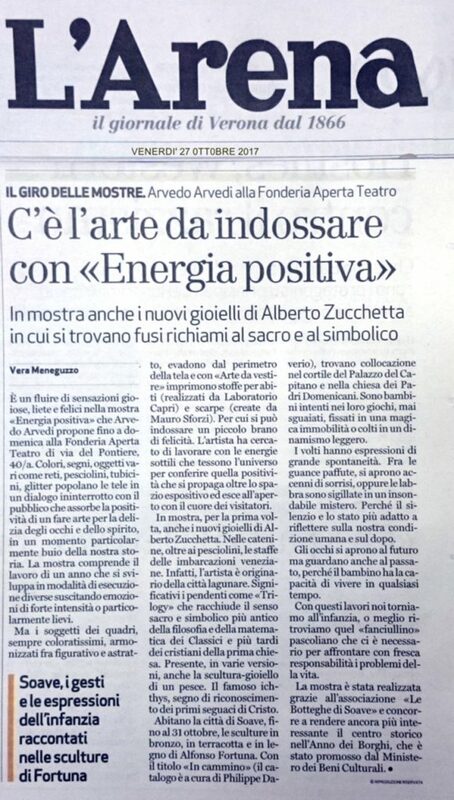 On show at the Fonderia Aperta Teatro di Verona, the works of Positive Energy by Arvedo Arvedi and together with these the jewels designed by the master Alberto Zucchetta for the collection Art to dress by Arvedo Arvedi. Below is Vera Meneguzzo's article published in the Verona Arena where she tells us what the true sentiment that binds the work of these two artists. The new jewels by Alberto Zucchetta for the Arvedo Arvedi's Art to Dress collection.